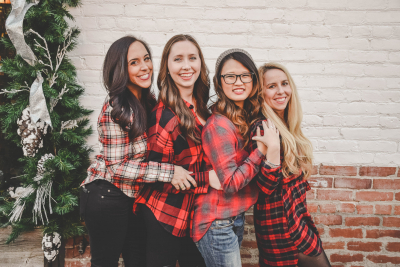 Although you share a lot with your sisters throughout the year, regardless of whether Christmas carols are permeating the air or not, this a particularly special time to spend with them. 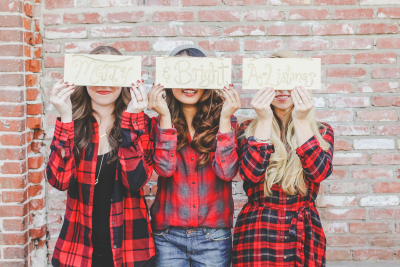 You get to share holiday dresses for all of those parties you’ll be attending together, for your chapter Christmas card photo shoot, and for festive green and red letters selfie snapshots. There’s just something in the air around Christmas that makes you smile, incessantly, as if you don’t have a care in the world. 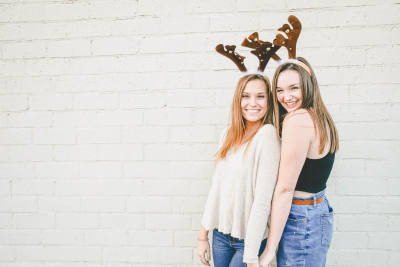 And seeing your sisters makes your smile even brighter, despite the stress of exams, final papers, and projects – just seeing someone that loves you no matter what makes your day so much better. When the stress of life gets you down and your smile disappears under a mountain of books and papers, your sisters are there to pick you up. They’re there to put you back on your feet, make you hot chocolate, watch animated Christmas movies, and cuddle with you until you feel that holiday glow again. 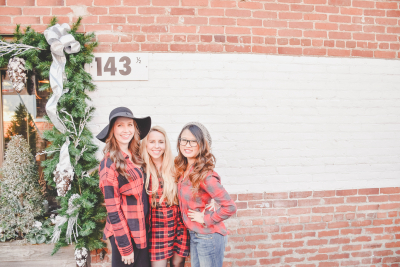 What better way to bond with your sisters than by Christmas shopping? Maybe you’ll discover your Little’s love of scarves or purchase the perfect purse for your president. Meandering through the mall is always fun especially near the holidays when decorations cover the ceiling and store windows twinkle with fairy lights. 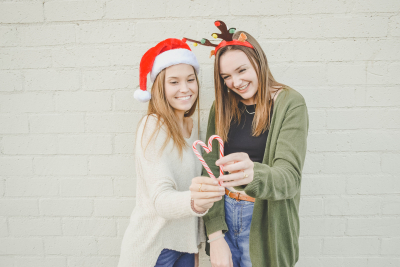 For a great bonding experience call a sister and head to the nearest store – you’ll have a blast trying on clothes, examining potential present options, and generally just enjoying each other’s company. You can even have your photo taken with Santa if you so desire. If you aren’t in a state that gets to experience a white Christmas, we are so sorry. There’s something so special about seeing snowflakes fall leisurely from the sky to carpet the ground in soft, crunchy snow that makes winter a mystical season. With that in mind, remember that just like no two snowflakes are the same, none of your sisters are exactly alike. Appreciating the different personalities and quirks of your sisters will go a long way toward helping to strengthen your ties of sisterhood. 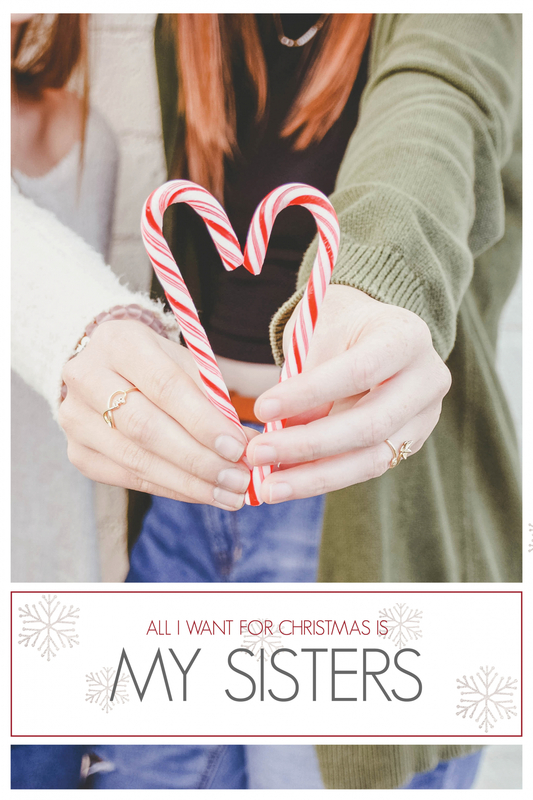 Cherish your sisters all day, every day, but especially during the Christmas season. 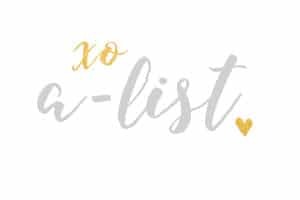 Speaking of cherishing your sisters, check out our Best Holiday Gifts to Give to Your Sisters blog with some of our favorite products we know they’ll all love. This entry was posted in Members Only: A blog for chics and Greeks alike. and tagged Christmas, holidays, Sisters.